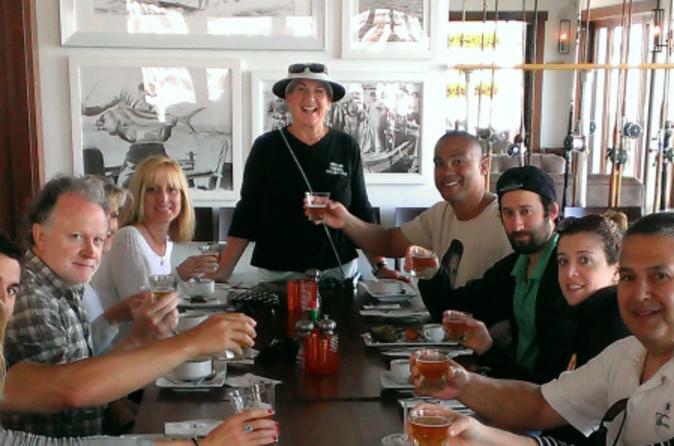 Prepare your taste buds for this 3-hour culinary walking tour of beautiful Catalina Island. Your informative guide will take you through Catalina’s picturesque streets, introduce you to the island’s culture and bring you to the best food on the island, with a total of six memorable tasting experiences. Tour is limited to 16 people to ensure a personalized experience. Come face to face with Catalina's abundant marine life on this 45 minute excursion under the water. You will be cruising five feet under water in a spacious, climate-controlled cabin where every passenger has their own seat and port hole. You are free to roam around the cabin to seek other viewpoints as well. Propel down 5 separate zip lines dropping from 600 feet above sea level with one run that is 1,100 lineal feet long all on its own. This incredible experience will forever change your idea of what a tour should be. 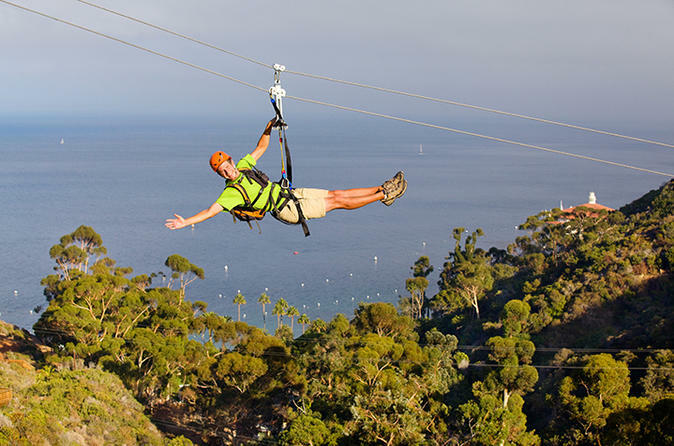 You will travel close to three-quarters of a mile over five consecutive zip lines at heights of 300 feet above the canyon floor and at speeds pushing 40 mph. Take a trip down memory lane to the days when bands were big and movies were just beginning to talk. 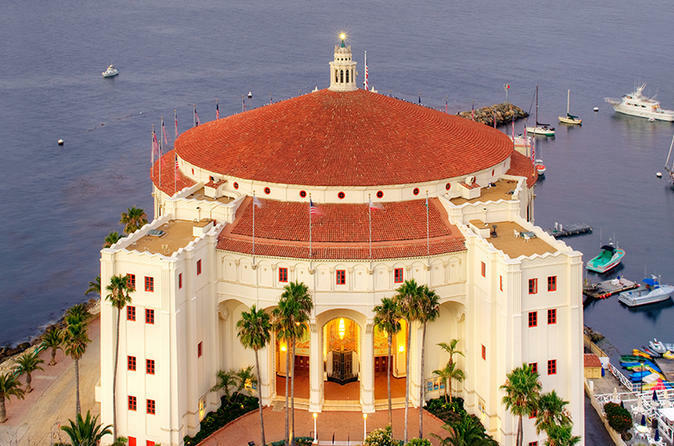 The Catalina Casino epitomizes everything glamorous about Santa Catalina Island. You'll see the extraordinary Art Deco murals and a classic 1929 pipe organ inside the Avalon Theatre, which still shows nightly movies on its massive screen. A short film is shown highlighting the history of this iconic building and its Hollywood connection. This tour requires uphill walking inside the casino. Climb in to a unique, open-air, biofuel H1 Hummer for an unforgettable trip to the summit above Avalon. Traveling to 1,500 feet above sea level, you’ll enjoy a birds-eye view of romantic Santa Catalina Island and the ocean beyond. The open-air Extreme Hummer Tour travels five miles up rugged interior terrain, where you will experience spectacular views of the coastline and deep canyons below. Lined by beautiful eucalyptus trees, the tour winds its way back along the Stagecoach Road into Avalon. Enjoy an Extreme Off-Road Adventure Into Catalina Island's Beautiful interior. 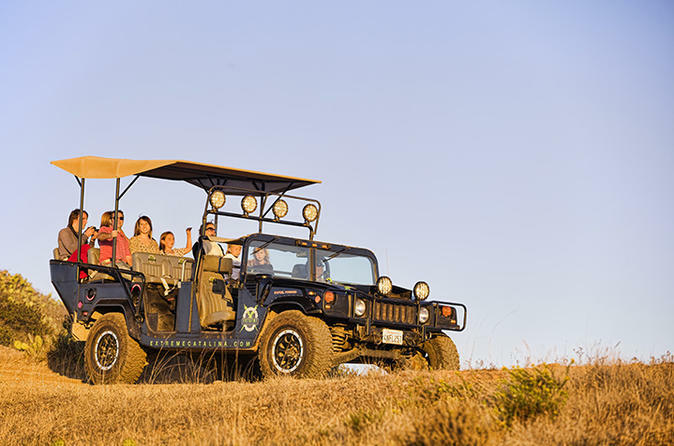 Experience Santa Catalina Island’s rugged “outback” in our all-terrain, 12 passenger eco friendly H1 Hummer. Converted to run on biofuel refined from recycled vegetable oil, this Hummer is “green." 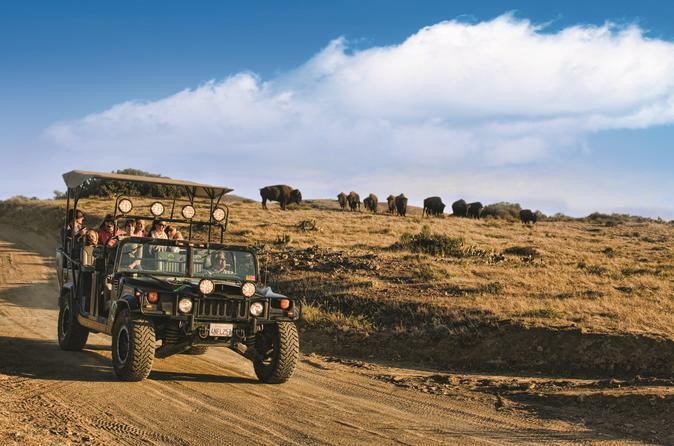 This is the only scheduled off-road tour that travels into beautiful Cape Canyon and the steep, rugged Sheep Chute Road where Catalina’s bison can frequently be seen. 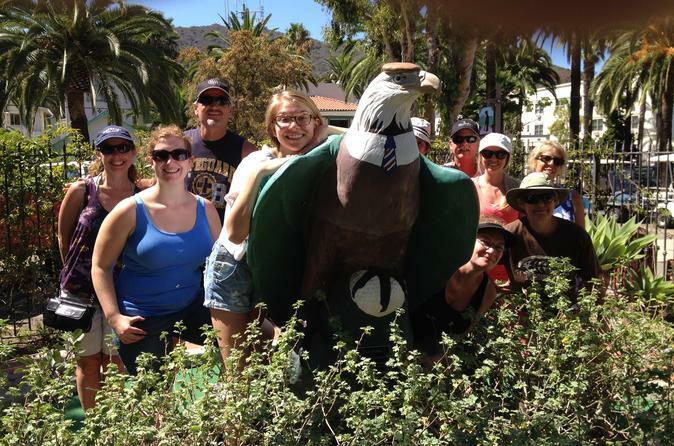 Turn Catalina Island-Avalon into a giant game board with this fun scavenger hunt adventure! 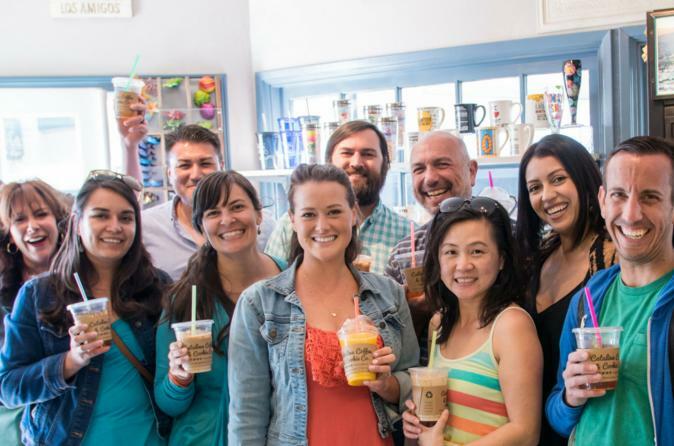 This challenge combines the excitement of the Amazing Race with a 3-hour city walking tour. Guided from any smart phone, teams make their way among well known and overlooked gems of the city, solving clues and completing challenges while learning local history. Note: Pricing is per individual, but teams must book together in order to be included in the same adventure. Santa Catalina Island's charm and history are mirrored by the Catalina Island Golf Course, the oldest operating golf course along the west coast. Originally built in 1892, this scenic, 2,100 yard course has nine challenging holes, two sets of tees for 18-hole play, and is the former home of the Bobby Jones Invitational Tournament. A fully stocked pro shop, rental clubs and carts that are electric or pull are available. 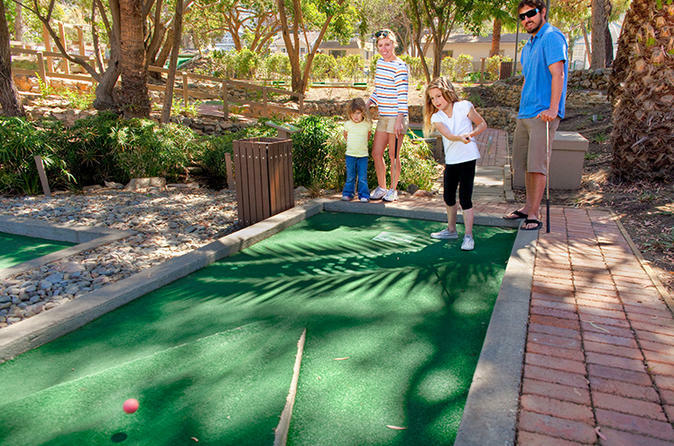 Whether you have been putt-putting all your life, or it's your first time at miniature golf, your whole group will have a great time on this fun and challenging course. The classic styling and award-winning layout make for an unforgettable experience that will be a highlight of your stay on Catalina Island. 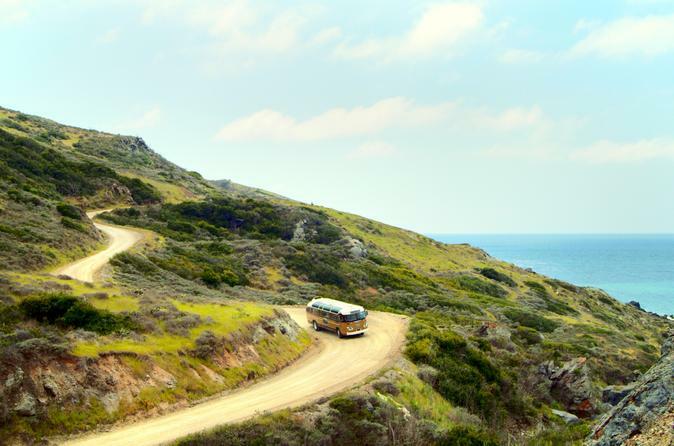 This exciting, narrated journey along the scenic “Skyline Drive” takes you ten miles into Santa Catalina Island’s protected wilderness area on a 1950’s Flxible Bus. Along the trip you’ll see spectacular vistas, deep canyons, quiet coves and an endless blue ocean. 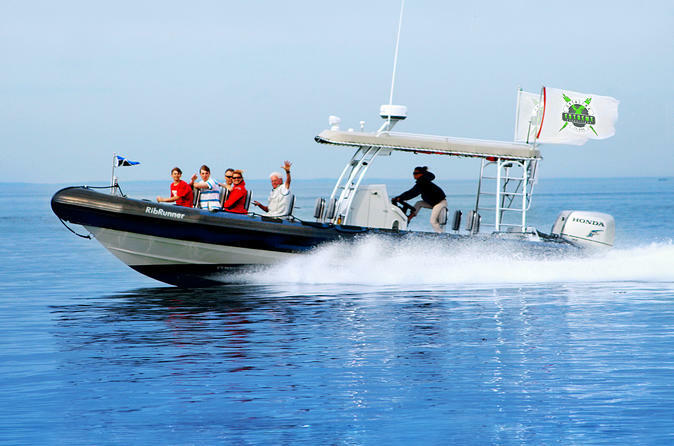 This adventurous tour goes out into the Catalina Channel on a speedy Ribcraft—the same boat that the Navy SEALs use—for an exhilarating ocean experience! While taking an adrenaline-charged ride in the ocean, there’s a chance to see fun-loving dolphins and sea lions that live and play along the coast of the island. 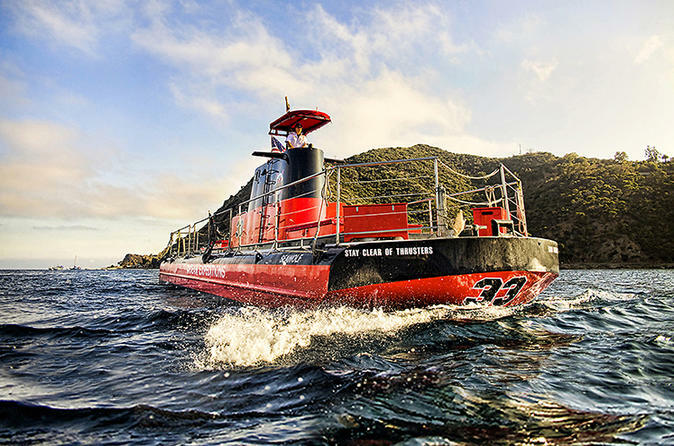 Experience the thrill of watching these incredible creatures in their natural environment on a guided tour that accommodates up to 12 guests using a high-speed, rigid inflatable boat, with 500 horsepower.